If you want to make your home more attractive to the average first-time homebuyer, you are better off meeting the needs of Millennials. Not only is our country’s largest generation finally coming of age, more of them are expected to buy than in recent history. What’s more, Millennials are expected to make up the largest portion of homebuyers for the foreseeable future. It’s worth noting, however, that Millennials and their predecessors do not covet the same things. What works for attracting repeat or move-up buyers won’t have the same impact on first-time homebuyers. That said, any attempt to sell to Millennials should reflect a new strategy; one that caters to a new generation. Today’s housing market is expensive; there’s no way around it. Those first-time homebuyers that are fortunate enough to be able to buy are most likely not going to have a lot of money left over in reserves. It’s safe to assume that the majority of their funds will, in fact, go towards their down payment. That means few first-time buyers will actually have enough money to place a downpayment on a property while simultaneously building their savings coffers. 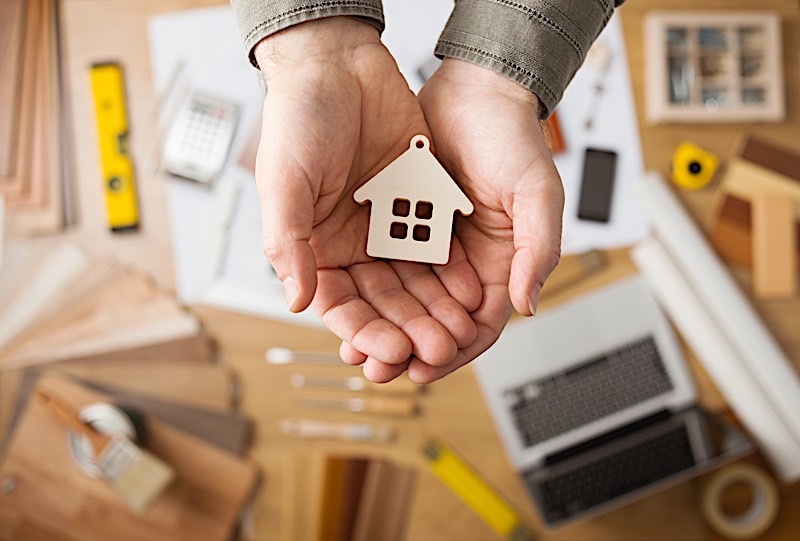 As a result, it’s rare that a first-time homebuyer in today’s market will covet a “fixer-upper.” A distinct lack of capital could prevent them from working on the home entirely once it’s acquired. It’s much more likely that first-time homebuyers will covet properties that have been maintained and cared for; that way, they won’t have to worry about spending any more money immediately following the largest purchase of their lives. If you want to sell to a first-time homebuyer, you must first recognize that many are not willing to put a lot of money into the home once it’s purchased; they simply don’t have the funds to do so. Having said that, it’s in your best interest to offer a product that is void of too much upkeep. Do what you can to make the home as “livable” as possible, and highlight the fact that it’s move-in ready. In doing so, you will appeal to the average first-time homebuyer, as they most likely won’t want to buy a home that requires a lot more money to live in. There’s no doubt about it: today’s homebuyers are better educated and more prepared than in years past. The advent of technology — namely, the internet — has seen to it that the most important information pertaining to a home is just one click away. As a result, it’s safe to assume each prospective buyer you come across has done their homework. To think anything less is a practice in ignorance. The information pertaining to your own home is too readily available not to assume a prospective buyer has inquired already, but I digress. The trick to selling to a first-time homebuyer isn’t in anticipating what they need, but rather telling them what they already know. If you can offer a first-time homebuyer the same information they have already stumbled upon, it’s entirely possible to simultaneously gain their trust and make a sale more likely. Who wouldn’t want to buy a home from someone they trust? Do not, whatsoever, attempt to fabricate numbers or information. Regardless of what you come up with, it won’t match the data the impending buyer has already seen, and it could set off red flags. Instead, exercise complete transparency. Proceed to provide buyers with the information they already know, and you will see them drop their guard ever so slightly. Only then will you be able to further talks of an impending sale. Not unlike just about everything else, buying a home can be associated with a curve, of sorts. There are those that have the process down to a science, and there are those that — well — don’t. First-time homebuyers, for that matter, will tend to skew to the latter end of that spectrum. It’s safe to assume their home buying acumen isn’t on par with a seasoned real estate investor, nor should you expect it to be. That said, there’s a good chance the first-time homebuyers you encounter make a few mistakes, not the least of which may include some “low-ball” offers. And while sellers may not appreciate offers that come in well below their asking price, I urge you not to write them off. While I don’t recommend entertaining the low-ball offers from a first-time homebuyer, I do recommend giving them a second chance. It’s entirely possible the initial offer was made without much thought. At the very least, a low-ball offer shouldn’t be seen as an insult, but rather an opportunity; one that could initiate serious talks. Any offer at all suggests an inherent degree of interest; it’s up to you, however, to move things in the right direction. You could very easily see a counteroffer you would be much happier with. Amenities, much like the housing market, will undergo their fair share of changes. No more than a decade ago, flat-screen televisions were all the rage; now they are simply expected. What was popular even a few months ago could be due for a refresher. That said, it’s in your best interest as a seller to keep tabs on what buyers want most in today’s market. In doing so, you will create demand for your property. It’s not enough to simply install the latest and greatest amenities in your home; you have to let prospective buyers know you have what they want. Instead of simply installing a tankless water heater, feel free to highlight it in your listing. Otherwise known as sizzle features, desirable amenities are a great selling point, and they will only work in your favor if buyers know what they are getting — so let them know. Selling your home is not the time to be bashful. Instead, brag about what your particular property has to offer — so long as it’s what the people want. Again, the average first-time homebuyer is a Millennial, and they are expected to make up the largest portion of buyers for the foreseeable future. As a result, you could greatly tilt the scales in your favor by targeting them with your selling efforts. If for nothing else, real estate is a numbers game. The more potential buyers you have to choose from, the more likely you are to close on a deal. If you want to give yourself the best odds of selling, you should really consider appealing to the average first-time homebuyer. If you want to increase your odds of selling a home, you may want to consider looking for first-time homebuyers. Millennials are expected to make up the largest pool of buyers for the foreseeable future, so you may want your marketing efforts to target them. In appealing to the average first-time homebuyer, you may find the odds of selling a home working in your favor.